When authorities introduced fee-free education from primary up to Form IV of secondary school, they expected the teacher-pupil ratio to double, from 1:50 to 1:99. But a new study by HakiElimu shows that Grade One enrolment in Dar es Salaam has in fact tripled, with an average of one teacher for 164 pupils. Unlike previous measures to abolish fees, this move was not accompanied by a teacher recruitment drive. HakiElimu raises concerns about the impact this is having on the quality of education. The study was conducted in 56 schools from seven districts randomly selected to achieve geographic representation. It aimed to understand implementation of the fee-free basic education policy, and stakeholders’ views on its impact on teaching and learning. National Form IV exam results released in January show a modest (2.5%) improvement on previous year’s results. 408,372 students sat the exams, and 70% passed with Division I – IV. However, only 27% of candidates achieved good enough passes (Division I – III) to proceed to Form V. Gender disparities are clear in the results. 51% of candidates were girls, reflecting the progress made in increasing girls’ enrolment. However, girls’ performance lags behind. Only 67% of girls passed (with Division I – IV), compared with 73% of boys. A greater disparity is seen in the higher grades, with only 22% of girls achieving Division I – III compared with 33% of boys. Results were annulled for 126 candidates who were accused of cheating. The top 10 schools nationally are: Feza Boys, Shamisiye Boys, Thomas More Machrina, Marian Boys, Marian Girls, St. Aloysius Girls, St. Francis Girls (Mbeya), Kaizirege Junior (Kagera), Kifungilo Girls (Tanga) and Anwarite Girls (Kilimanjaro). Alfred Shauri (Feza Boys), expressed disbelief and excitement at coming top in the Form IV exams, saying he had worked hard over time, and carefully following the instructions of his teachers. Given his strengths in science, his friends and family are urging him to become and engineer, but he is keen to pursue business and entrepreneurship. One teacher remarked that it was difficult for the calibre of students who were enrolled at the school to pass due to their low pass rates in their Standard Seven examinations. In another school, most students live almost 20 kilometres from the school, which was cited as making it difficult for teachers to monitor students’ behaviour after school hours. Human Rights Watch report calls on UK and other aid donors funding ambitious education programme to put pressure on government to halt abuses. The report found sexual abuse, harassment and corporal punishment to be widespread in schools in Tanzania. 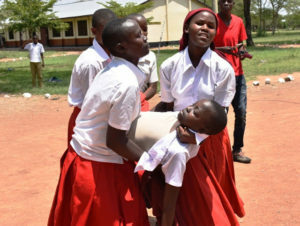 The report also found that more than 40% of adolescents in Tanzania were left out of quality lower-secondary education, despite a decision to make this schooling free. The report, “I Had a Dream to Finish School”: Barriers to Secondary Education in Tanzania, picks up on compulsory pregnancy tests in some areas and expulsion of pregnant girls, as well as the widespread use of “brutal and humiliating forms” of corporal punishment. The report said female students were exposed to widespread sexual harassment, and that male teachers in some schools attempted to persuade or coerce them into sexual relationships. 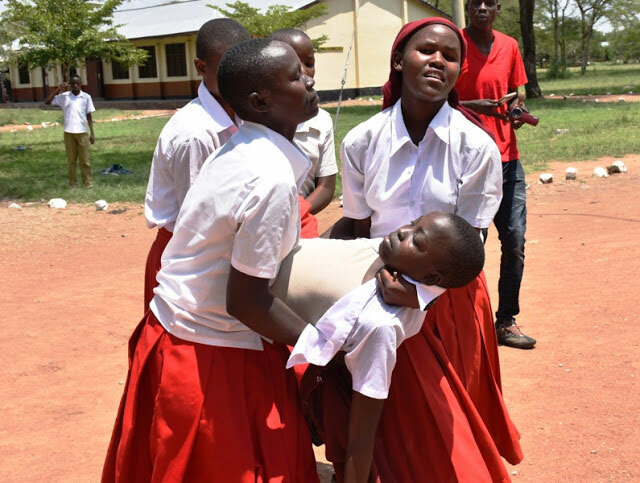 More than 600 students from Bariadi Secondary School, Simiye Region, blocked the main road holding up community activities for several hours in a protest against the transfer of their head teacher. Students tried to march on the District Executive Director’s Office but were prevented by police. New procedures for deducting loan repayments from salaries have successfully increased collections by the Higher Education Students’ Loans Board (HESLB). Monthly collection has increased from Tsh 3.8bn to TSh 12bn, with the total amount collected over 8 months standing at TSh 49bn. With the new measures, the board is optimistic of further progress, stating “If we proceed with this trend, we are certain that by June we will have collected TSh 100bn for a period of one year since the campaign started. Previously, the board used to collect that amount in ten years”. At the annual rate of TSh 100bn collections, the board will be able to finance the loan issuance budget by between 20 and 25 per cent. Currently, the government funds almost the entire amount required to lend to students from its budget.